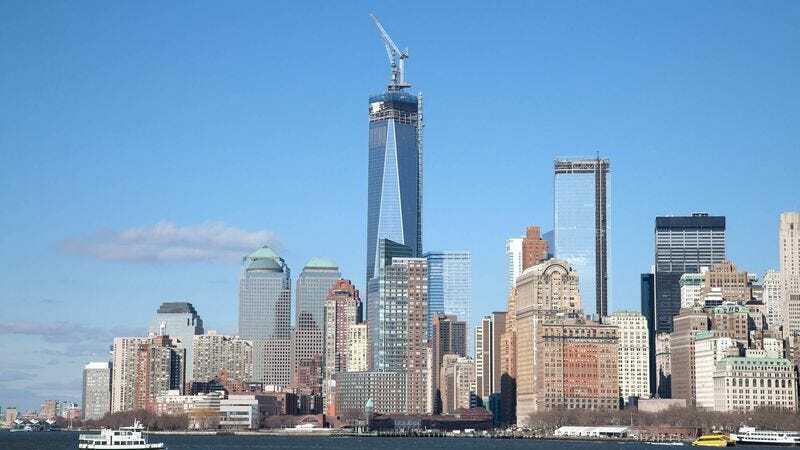 NEW YORK—A news article published Tuesday about how One World Trade Center will soon become the tallest building in the Western Hemisphere contained a paragraph explaining the events of Sept. 11, sources confirmed. “The new high-rise comes as the result of the attacks on Sept. 11, 2001, which destroyed both World Trade Center buildings,” read the paragraph, which came towards the end of the article and proceeded to explain that the militant Islamist organization al-Qaeda, led by global terrorist Osama bin Laden, was responsible for the destruction. “During the attack, roughly 3,000 Americans were killed when two hijacked airliners were flown into the towers, ultimately causing them to collapse. One World Trade Center will occupy the same location where the original World Trade Center stood.” Upon reading the piece, millions of readers were reportedly thankful for the paragraph, saying they were unaware as to why a new building was being built in lower Manhattan, and were “relieved” to learn that Osama bin Laden was killed nearly two years ago during a raid of his compound in Abbottabad, Pakistan.